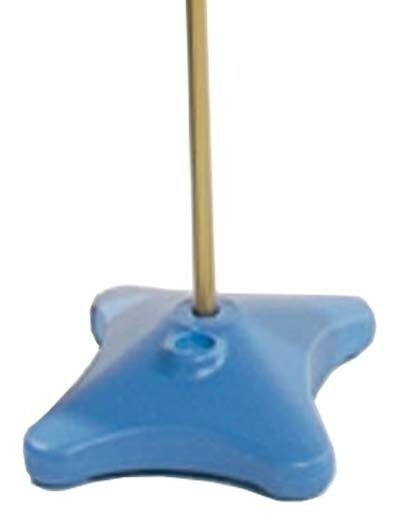 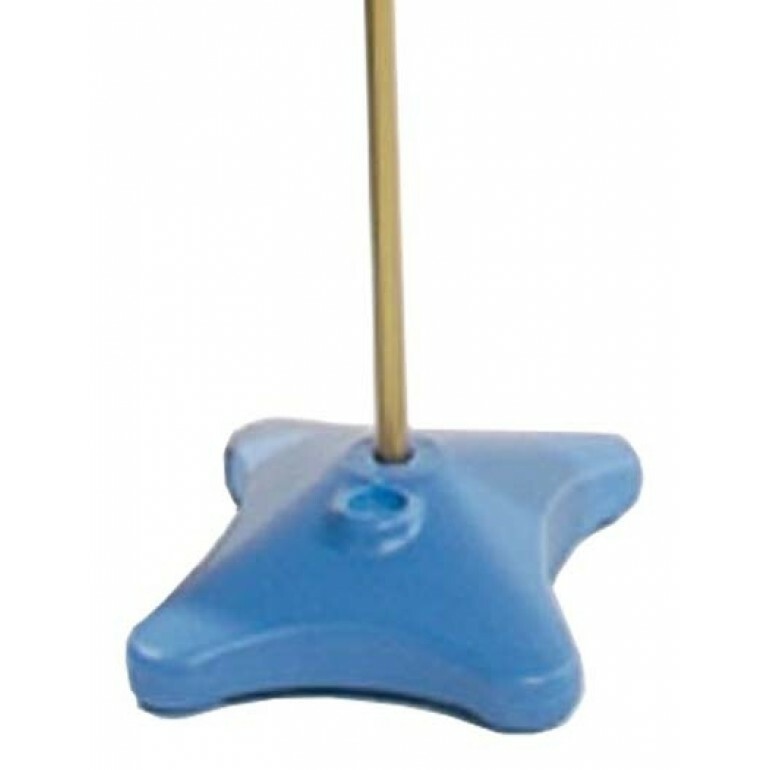 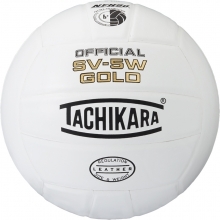 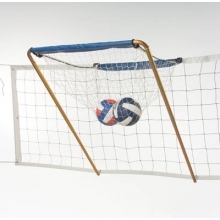 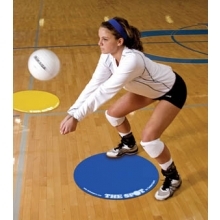 This Spike-It volleyball training model features a blue base that can be filled for stability. 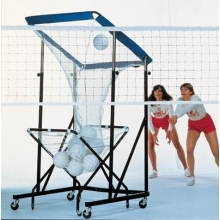 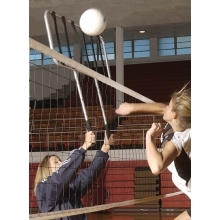 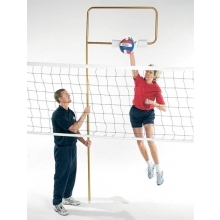 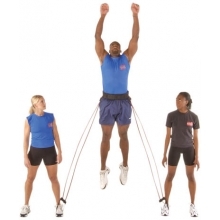 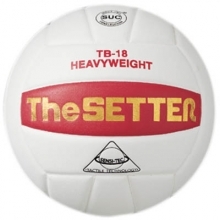 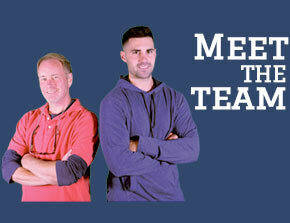 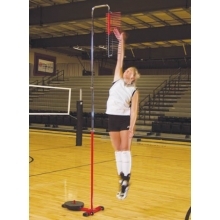 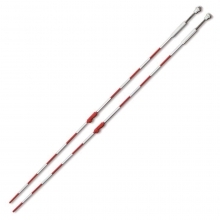 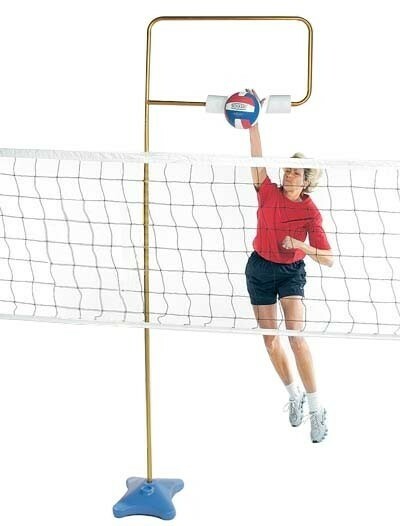 The Spike-It trainer teaches beginner volleyball players proper arm swing, extension, approach and jump techniques. 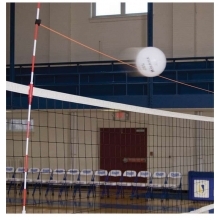 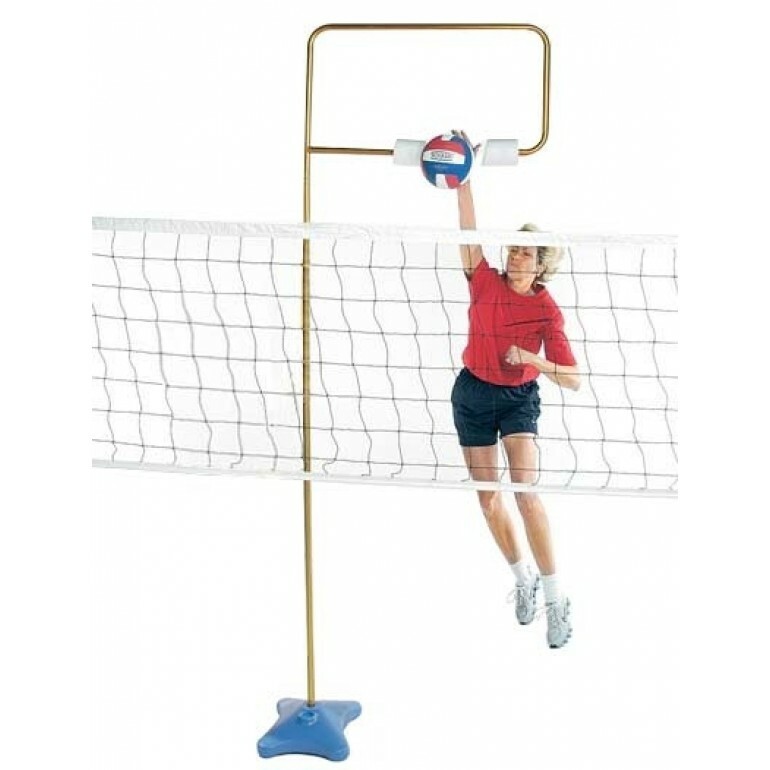 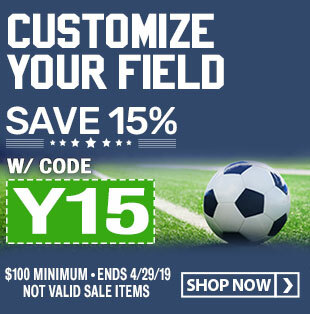 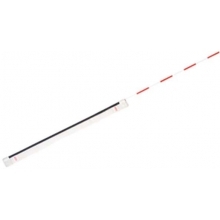 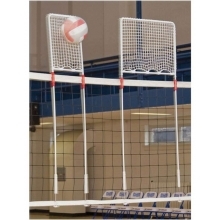 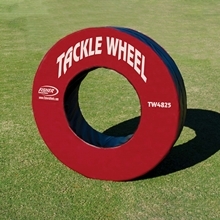 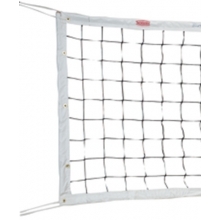 This volleyball training aid is also great for giving more advanced players an opportunity to concentrate on perfecting their skills.